Did you ever stay in a comfort zone too long. That’s not a good thing. 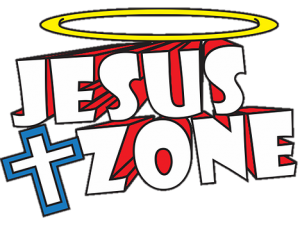 We need to get out of our comfort zones and get and stay in the JESUS zone and reach people for JESUS. That’s what HE wants us to do. When HE grabbed HIS disciples, HE took them out of their comfort zones. Some were fishermen, tax collectors, a doctor. We need to be careful of those comfort zones because they can cause us to get complacent and be happy with the way things are. When people get satisfied with the way things are then they can be tricked into believing anything that the enemy throws at us. There are lots of things the enemy wants to do that are happening in the world right now. People, even Christians, in their comfort zones are thinking “Oh well its really not hurting anything or anybody,” let’s leave it alone. But if it’s against the WORD of GOD, it is hurting a lot of people. A lot of that thinking is what’s gonna fill up hell with lost souls. Remember when the Jews were set free and left Egypt? They were excited at first but when things were not happening the way they wanted. They wanted to go back to slavery. They thought of Egypt as their comfort zone because even though they were slaves they were taken care of. We were set free from that slave mentality by JESUS. We are free indeed. That’s exciting. We have to get out of our comfort zones if we want to be like JESUS. Let’s not stay content on where we are in our growth process to be more like JESUS. Let’s keep pressing on and get out of our comfort zone and do what JESUS wants us to do. It doesn’t matter how long you’ve been saved, get out of your comfort zone. One of the things JESUS wants us to do is to go and spread the Gospel to everyone. What they do with it is up to them. People won’t have an excuse about not hearing about JESUS. But it’s up to us. Isn’t it exciting when you get a chance to witness to somebody?